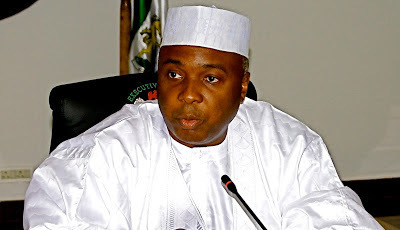 Again, the attention of the Senate President, Dr. Bukola Saraki has been drawn to a malicious, false and totally reprehensible news report, wherein it insinuated that the election of Dr. Bukola Saraki as the Senate President of the 8th Senate was facilitated by Nigerians associated with dubious claims in the infamous oil subsidy. One of such desperate attempts to justify this blackmail and others was the story published in newspapers of Monday June 29 2015 as contained in a statement issued by the former Interim National Chairman of APC, Chief Bisi Akande. Ordinarily, we would have ignored the report, but for the sole reason that some undiscerning readers might mistake the fiction for the facts. We also wish to state unequivocally that it was wrong and mischievous for the statement by Chief Akande to link what happened on the floor of both chambers to some unnamed oil barons. We dare say that the entire story was the figment of the imagination of the author. We make bold to state that in the 7th Assembly, Senator Bukola Saraki was Chairman of the Senate Adhoc Committee which exposed the fraud and mismanagement in the oil sector. Until Saraki's motion on the floor of the senate, no one was in the picture of the rot in the sector or took any action. Therefore, surely, Senator Saraki will be the last person the oil baron will want to see as Senate President. No doubt, we make bold to state that Saraki is the last person to be so sponsored by the oil barons or cabals. In that position, Saraki did not only lead his colleagues in exposing the rot in the scheme but made very strong recommendations on how the system could be reformed and made corrupt- free. It is on records that through his motion on the floor of the Senate, the House of Representatives followed in what is to be known as Oil subsidy probe and to which Ministers of Finance and Petroleum summoned and at last over,N500 billion was saved. Certainly, Senator Saraki is the last person to be so sponsored by the oil barons or cabals. Further to this, during the Senate hearing on the missing $20 Billion, for those who attended the public hearing, Senator Saraki led the onslaught of difficult questions to both the Minister of Finance, Minister of Petroleum and other federal agencies despite being in the ruling party then. To this effect, Senator Saraki refused to sign the final copy of the committee's report but rather put forward a minority report with a press statement that follow suit. Saraki went further to oppose the inclusion of kerosene subsidy in the 2015 budget as well as his opposition to Petroleum Swop deal by NNPC. Let it be known therefore that the Senate Presidency of Dr. Bukola Saraki would not in any way be a stumbling block against President Buhari’s posture against anti corruption. Rather, the 8th Senate under him as the President would give all necessary legislative support to the administration to fight and reduce corruption as his previous actions and bold step taken against the so called oil barons indicates that Saraki is committed to anti corruption. For avoidance of doubt, we want to make it abundantly clear that it is totally false, untrue and calculated mischief to suggest that Senator Saraki's emergence as Senate President was facilitated by oil barons. This is a case of calling the dog a bad name so as to hang it. Another blatant lies that can not fly. In any case, Senator Saraki was elected unoppose as the Senate President, therefore the lies that he was sponsored by the oil barons cannot hold. Senator Bukola Saraki is determined and focused to achieve the Senate targeted legislative agenda and he is committed to support President Buhari to deliver on his promises to the people of Nigeria.